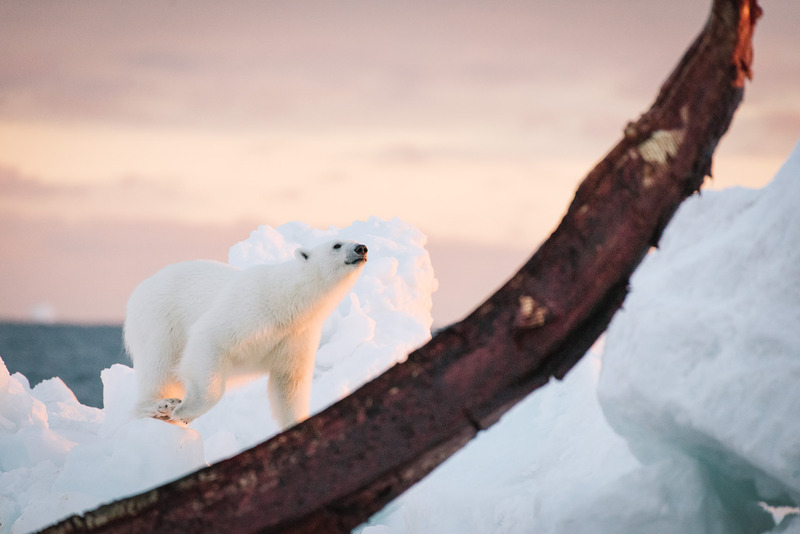 A young polar bear investigates the recently butchered carcass of a bowhead. While spring and fall whale hunts provide a source of food for the bears, the fall hunt is especially critical for bears on the verge of starvation caused by reduced pack ice in the summer months. Many Iñupiat prefer to let the bears feed provided they maintain a safe distance from people.